@Great Leader Sprucenuce wrote: Meh. Not sure how i feel about my draft, feel i overcompensated for lack of guards too much after going all in on bigs and forwards early on. I think we have some trading to do.... I went OTT on guards. It might actually work out this year lol. So yeah you could say it needs some work, i'm lucky most of them can play multiple positions. Did that old hag Dani show up? I don't mind it, i just think it's imbalanced. @RealGunner wrote: Did that old hag Dani show up? Dani is prob gonna die when he sees his team tbh. @Freeza wrote: Dani is prob gonna die when he sees his team tbh. Having Curry alone isn't enough. @Great Leader Sprucenuce wrote: Having Curry alone isn't enough. TBF you have the best team imo of those that have posted their teams so far. 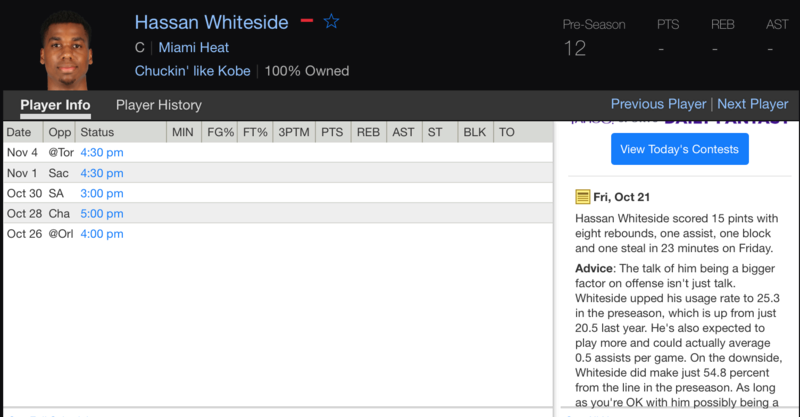 Basically because outside of Westbrook and Klay I went heavy on bigs early on. At risk of lacking assists and guards in general I basically panicked. @Great Leader Sprucenuce wrote: Basically because outside of Westbrook and Klay I went heavy on bigs early on. I even sent messages to admins to try and contact you all but it didn't happen. I couldn't delay it any longer sadly. Which might be another reason i panicked. While I love my team, it seems most people missed the draft and some are even disinterested. Would anyone be up for setting up another league so that everyone is able to make the draft? I'm not against it but that means getting everyone together before the season starts tonight which seems problematic at best.